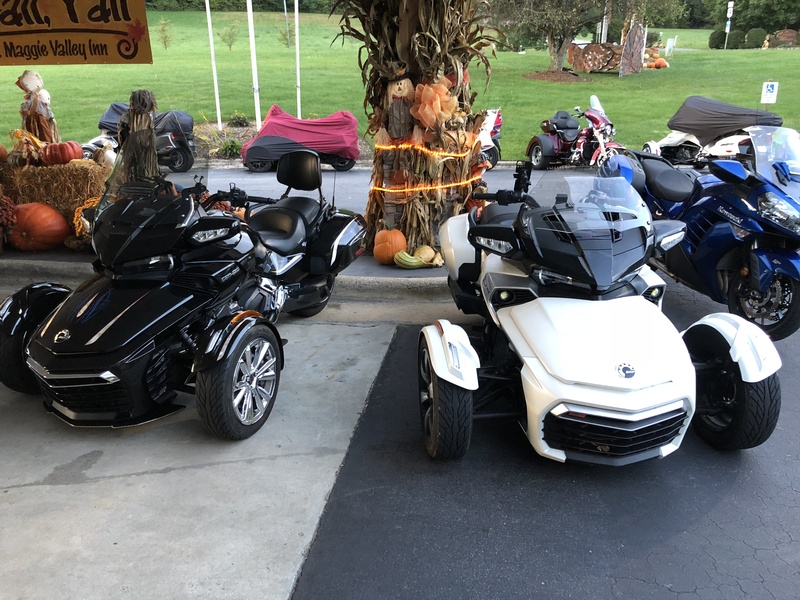 F4 Customs offers several windshield options for the F3 Touring and F3 Limited. Our motorcycle windshields are designed to optimize your riding experience. The following are the varying height options and a description to help you choose what works best for your needs. 21”: The 21” F3 Touring/Limited replacement windscreen is a great alternative to the stock shield. It is a bit taller and wider decreasing unwanted wind and head buffeting yet retaining a sporty look. 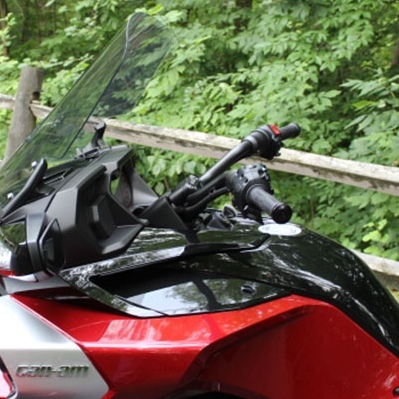 23”: The 23” replacement windshield for the F3 Touring and F3 Limited is perfect for riders that want to look over the windshield but gain extra protection from the elements. 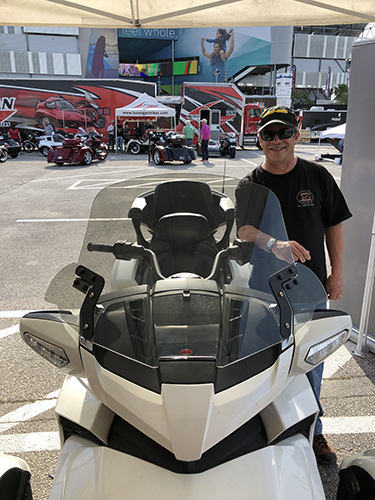 25”: The 25” replacement windshield for F3 Limited and F3 Touring is optimal for riders that want maximum protection from road debris and unwanted wind. The 25” F3 replacement windshield is great for riders that want to look through the windshield. Starting in the center of the windshield measure from the bottom to the top. This will give you the measurement of the windshield itself. However, for more measuring information please check out the “F3 Windshield by F4 Customs” video in the install tab on the right. Download Installation Instructions for brackets here. Remove the plastic wrapping around the 4 bolt holes. Leave the remaining plastic on the shield to ensure protection during the installation process. Turn the shield so that the front of the windshield is facing down. Take one mounting bracket and place it on the front of the shield, hold it in place while you take 4 of the aluminum spacers and drop them in the mounting holes. 4. Take 2 snap cap washers and 4mm bolts, place the bolt through the washer as pictured below. 5. Place one bracket on the backside of the shield. 6. Insert the two bolts with the snap caps through the top two holes on the front of the windshield so the threads of the bolts are up. 7. Take two serrated nuts and tighten them down over the two bolts. 9. Place black snap caps over the front snap cap washers. 10. Repeat steps on the other side. 11. Remove the extra bolt and nut from the bottom holes and insert the OEM bolts (from your motorcycle) through the bottom four bolt holes. 12. Mount the windshield to the existing hardware.